The process for fostering entrepreneurship has been sought after for decades, if not millenniums. Entrepreneurship has sprouted, seemingly randomly, in communities all over the world and brought with it strong economic growth that is long lasting. So it is logical that many leaders in governments, institutions, universities, and even entrepreneurship are trying to model that success by setting up programs that were thought to lead to mass entrepreneurial success…yet their level of success rarely replicates the former. So then what is the answer and why has it been so difficult to replicate? This is a question that I have contemplated for a decade, starting just after I failed in my first startup and watched a friend’s startup make him rich. So why are some entrepreneurs so successful while others fail so spectacularly? I had an insatiable drive to answer this question, and the more businesses I started the more successful I became. Plus I was noticing a similar format to how I started and grew the many businesses I was involved in, even though these companies ranged widely in target customer markets and industries. So I began meeting with dozens of successful serial entrepreneurs and found the first part of the answer to my burning question: Serial entrepreneurs were all starting and growing their businesses in a strangely similar manner. Apparently entrepreneurship was an organic process that was learned through experience (success and failure), and with that knowledge it was then apparent that a community could create a supportive environment to foster this organic process. So to make a long-story short, I convinced 20-30 organizations, institutions, and corporations to work together to foster a supportive environment in the Kansas City Community from 2006 to 2012. The efforts quickly spurred entrepreneurship that has resulted in Kansas City’s rise to becoming an entrepreneurial hub in the Midwest! That said, tracing my involvement and specific contributions to the outcomes of the entire city would be difficult at best…because I didn’t foster entrepreneurship…I empowered the community to support their entrepreneurs and foster a culture! 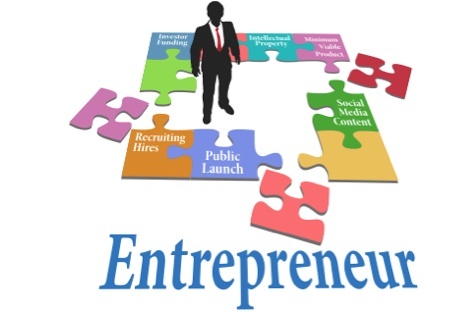 The Index of Entrepreneurial Activity from Online Entrepreneur Academy supports the suggestion as there are an average of 300 new business being started every month per population of 100,000, so the need is not to generate businesses but to support the pipeline that is already starting. To “foster” entrepreneurship in Kansas City, the participants realized that it could not be run by one person or organization. Instead entrepreneurship had to be woven into the very fabric of the community’s culture and then supported by the entire community to be successful. Understanding the Monumental Power of Perceptions – Individuals and groups of people think, act, and behave based on what they perceive is happening to and around them. This is basic psychology. Thus if people constantly hear about the negative effects or failures of entrepreneurship in the media and from their friends, they will perceive entrepreneurship to be an undesirable career option and will be unlikely to try to startup a business. On the other hand, if they hear about the many entrepreneurial successes in the community and their friends are supportive of the idea of starting a business, many will perceive the profession to be fruitful and supportive, and are likely to try to startup a company or at least support others who do. In these two examples the effects of perception is quite clear, and those who operate in economic or community development can likely relate to how this could apply in their community’s setting. Understanding the perceptions that people have in a community is vital to understanding whether entrepreneurship will be encouraged or not. Further widely held perceptions that are reinforced throughout the community create a behavioral pattern known as culture. Interestingly, perceptions are the fabric that keep a culture steadfast or allows it to quickly pivot the masses. So understanding what a community’s perceptions are and more importantly how to influence them is critical to fostering entrepreneurship. It allows an economic or community developer the ability to quickly change a risk-adverse community culture to a friendlier one towards the risks and rewards of entrepreneurship. 1) Experiential Learning – Teaching with a textbook in a classroom may be the most efficient way to learn for most, but it is not the most effective way for entrepreneurs. Instead entrepreneurs must be taught through experiences in the market, for only after learning the lessons first-hand will they be open to new insights, resources, and ways of achieving outcomes. 2) Context – Entrepreneurs don’t know what they don’t know. As demonstrated through experiential learning, entrepreneurs can’t simply be told what they don’t know…they first must experience the context. Without context, any valuable insights, resources, or strategies will be dismissed as non-applicable by the entrepreneur…and he simply won’t understand how to apply it. 3) Perceived Control of Free Will – Entrepreneurs start businesses to be in charge of their own destiny, something called “Control of Free Will.” Entrepreneurs will protect this “perceived control” at all costs, causing them to engage when their control is strengthened and disengage when they perceive threats. 4) Needs vs. Wants Paradigm – Entrepreneurs often find themselves with more tasks than they can do and in need of more support than they have resources for. The result is often confusing what they “want” to be needs (investment capital, workforce, million-dollar customer) and what they “need” to be wants (initial sales, experiential mentors, market insights). These four-mindsets provide a loose framework for beginning to understand how entrepreneurs think and how leaders can effectively reach out and support individual businesses. That said, the key to fostering widespread support for the entrepreneurial masses lies within the community! 1) Community Audiences – A Community’s culture and actions often seem random, like the “mob” effect, though in reality both are primarily being directed to the Masses by Influencers (a select few individuals whose views are widely adopted) and Doers (a select few individuals whose actions are widely viewed as always beneficial). 2) Community Involvement & Empowerment – Community Influencers, Doers, and the Masses need to be empowered and involved for entrepreneurship to be supported in the city or region. The key to empowerment is to identify the intrinsic benefits that each segment seeks and align those benefits with their involvement in supporting entrepreneurial ventures or programs. 4) Failure Response – How audiences respond to entrepreneurial or other failures in the community will be a major signal as to the support that will be provided through the turbulent lifecycles of business. This response from the community will greatly impact entrepreneur’s decisions on whether to start or grow their businesses when they perceive risks. The community’s culture and actions will become a major attractor or detractor for individuals seeking to become entrepreneurs in a city or region. Understanding the community’s mindsets will help economic and community development and chamber of commerce leaders utilize this asset to foster entrepreneurship. Those who have been tirelessly working to solve this problem will undoubtedly agree that fostering entrepreneurship is not a gem to be found in the earth but rather a complex set of networks, interactions, and relationships that need to work in a harmonious manner to achieve the desired results. More specifically the entrepreneurial masses must be excited to rapidly start and grow businesses, the community needs to be empowered to shift their culture to embrace risk and support innovation, the business community must pivot to be supportive and collaborative in a new manner, and community governments and leaders must be willing to adopt supportive policies. Entrepreneurial hubs require all audiences to be engaged and building simultaneously. The three-part solution described has, in part, led multiple communities to rapidly and sustainably foster entrepreneurship in a mere 1-2 years. For once entrepreneurship is understood, and fostering economic outcomes is much easier and faster to achieve than once believed. Seth Meinzen is a partner at Evis Consulting, a firm that has repeatedly built entrepreneur communities in cities and regions by empowering those from within. These “organic” successes have recently been documented in a new book called “The Organic Entrepreneur Economy,” written by a collaboration of authors from and around the Economic Development profession. Seth can be reached at seth@evisthrive.com. What Is Driving Clean Energy Job Growth?